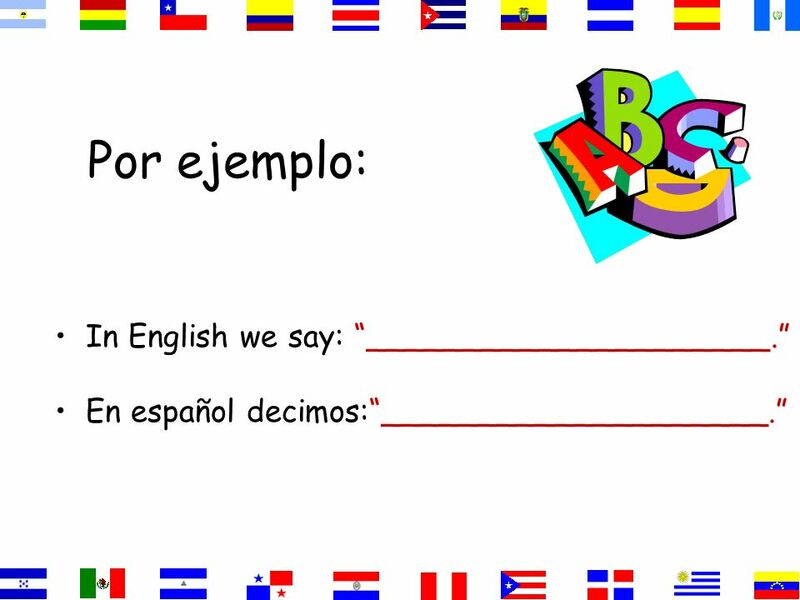 3 Por ejemplo: In English we say: _____________________. 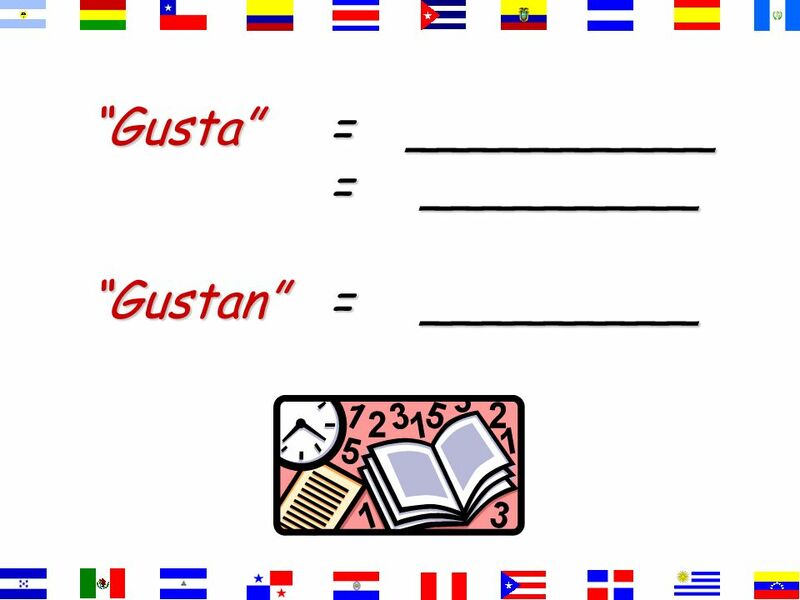 En español decimos:____________________. 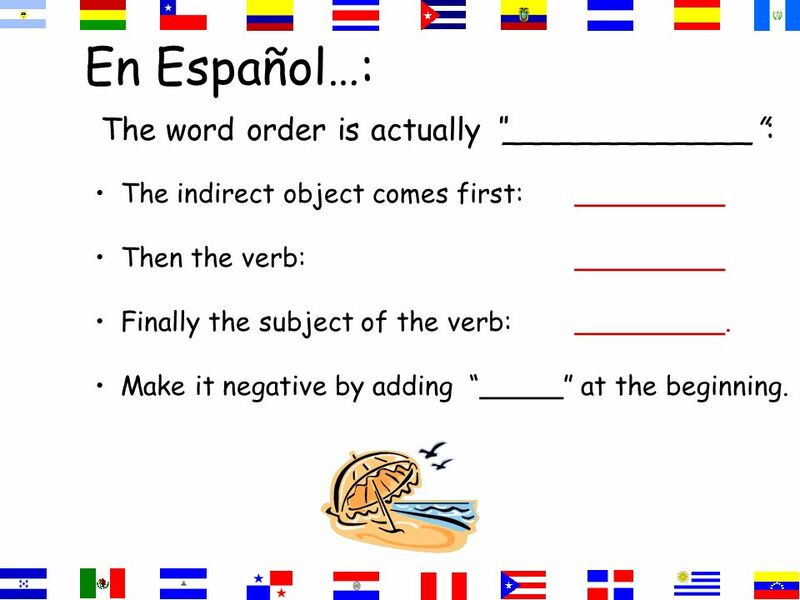 5 En Español…: The word order is actually _____________: The indirect object comes first:_________ Then the verb:_________ Finally the subject of the verb:_________. Make it negative by adding _____ at the beginning. 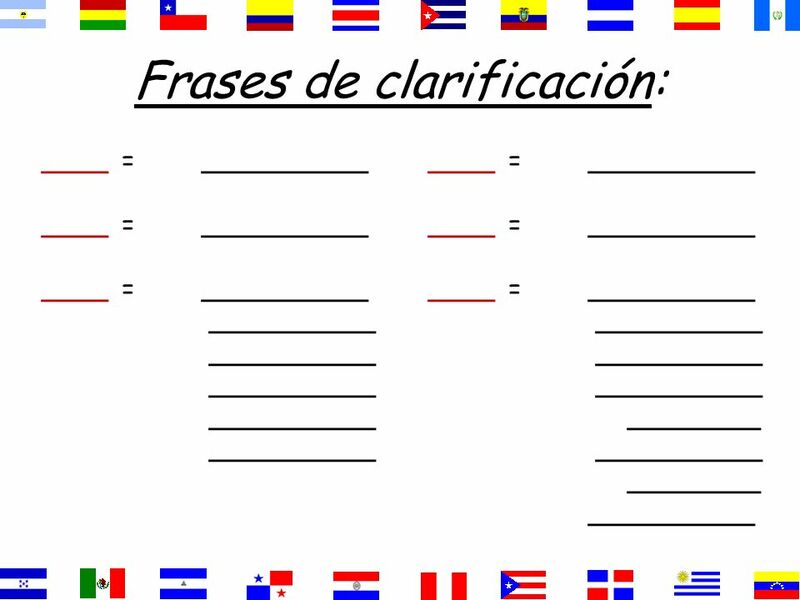 8 Frases de clarificación: ______________. He likes to swim. She likes to swim. 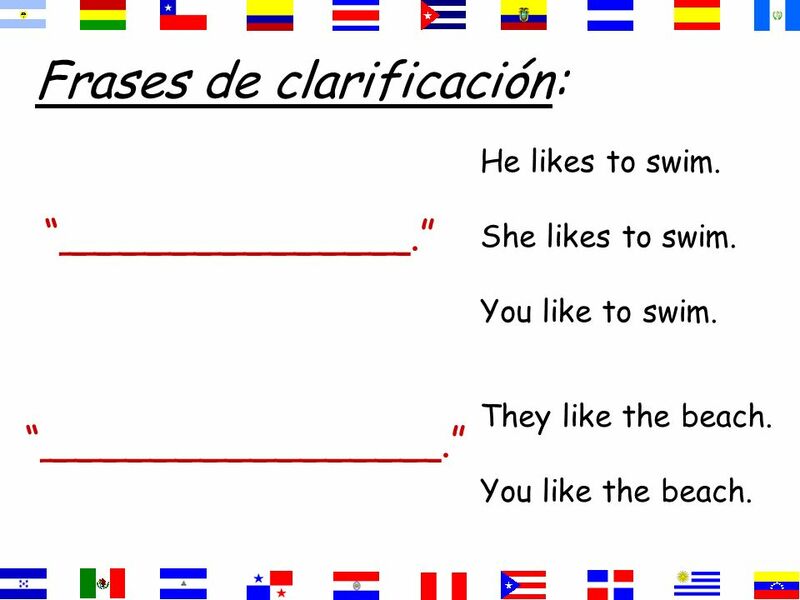 You like to swim. ________________. They like the beach. 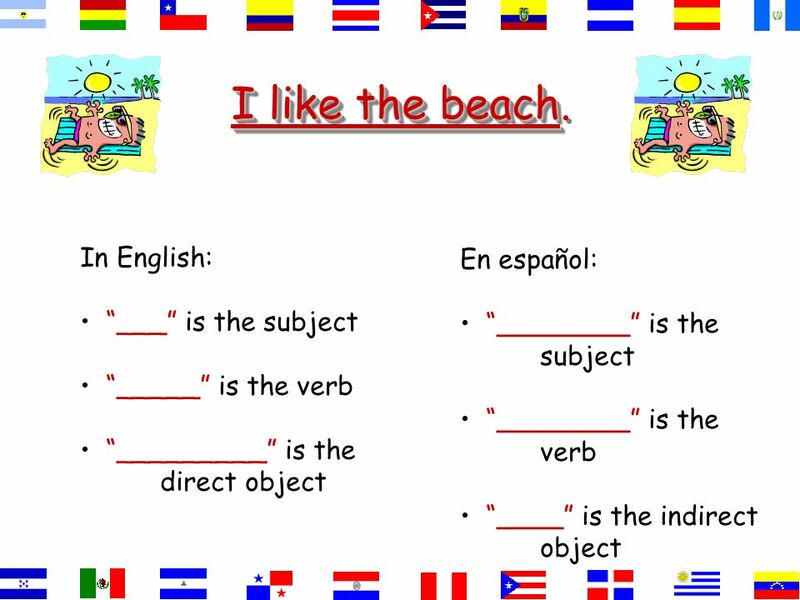 You like the beach. 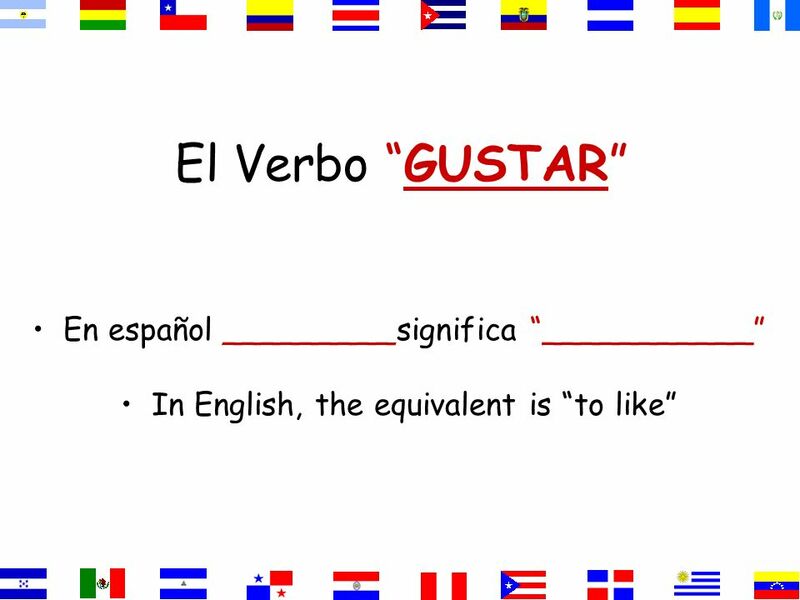 Descargar ppt "El Verbo GUSTAR En español _________significa ___________ In English, the equivalent is to like." 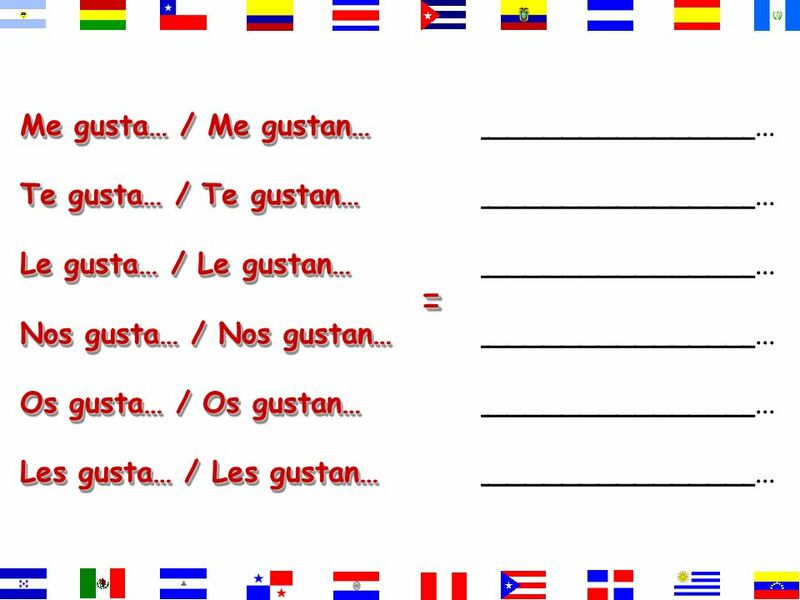 Los Verbos como GUSTAR w/ I.O. clarifiers Español Tres Honores Cap. 7. Esp 117/9/13 Hoy es el diecisiete de septiembre. 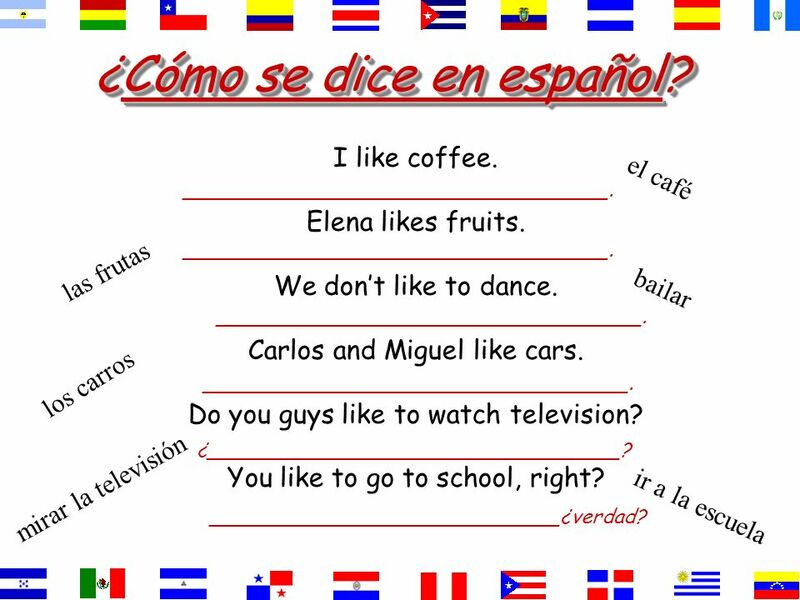 Objective: –Students will be able to say what they like and don’t like in Spanish. 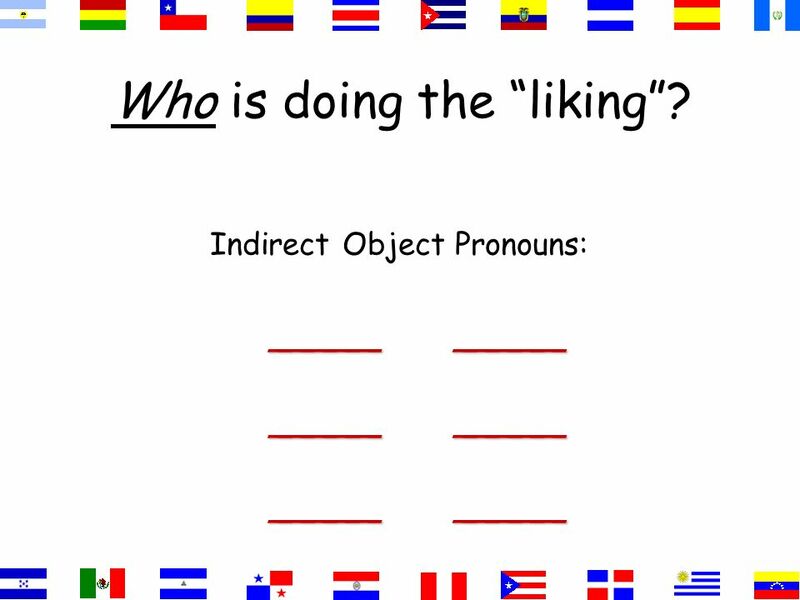 Write down 5 of the.